Nature, culture, myth and traditional ways of living- these four elements together characterize the ambience of south India. A land where every individual has been nourished in an environment drenched in culture and tradition and where nature has distributed its bounties whole-heartedly, south India is the best bet available for tryst with nature and culture. One of the several traditions which are still alive in India especially in southern region is ‘Atithi Devo Bhava’. Golden Chariot, south India’s first and only luxury train, has arrived as one of the most luxurious travel mode to explore the natural and cultural treasure troves of southern region. Starting its new season from 1st October, 2012, Golden Chariot embarked on its maiden weeklong journey on 10th March, 2008 from Bangalore to Goa. Envisioned by Karnataka State Tourism and Development Corporation (KSTDC), this Indian luxury train endeavors to bring the allure of princely train travelling in south just like what Palace on Wheels brought in Rajasthan. Now you would definitely like to know that why one should opt for this mode of travel. Well there are enough reasons to plan journey on board this regal train. The two meticulously crafted journeys of Golden Chariot are Pride of the South and Splendor of the South. 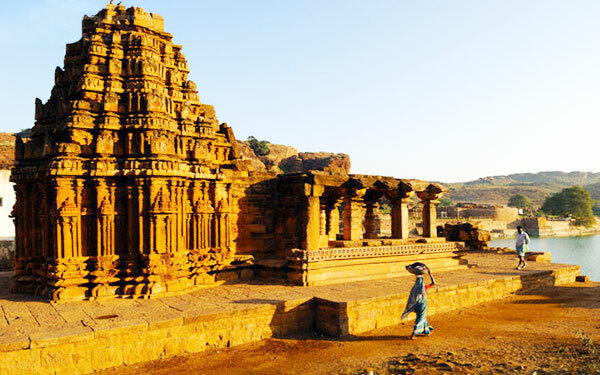 Each of these journeys takes guests to various historically and culturally significant destinations in south India, While Pride of the South traverses the course of enchanting destinations in Karnataka, the Splendor of the South explores the temple towns of Tamil Nadu and land of backwaters, Kerala. The seamless amalgamation of traditional interiors with state of the art amenities gives it a look of a classic soul breathing in a contemporary setting. The 19 plush coaches of Golden Chariot train come befitted with rich furnishings and flaunt intricate carvings reminiscent of the architectural traditions of Hoyasala and Mysore. To bestow an experience of royal living, these coaches have been named after various dynasties which have ruled the region in past. Various characteristics of this Indian luxury train evoke a sense of living in mythical times. The motifs of the restaurants and bar present on board have been designed with special mythical themes to acquaint guests with ancient India. Scrumptious delicacies are tastefully prepared by master chefs and served on the platter of the guests in the spectacular environs of their two restaurants, Nala and Ruchi. Madira literary meaning ‘Drink of the Gods’ is a lounge bar where guests can unwind and interact with fellow travelers over a glass of wine. Corporate Moguls and business executives who can’t make out time from their busy schedule, Golden Chariot offers a state of the art business centre which allows them to successfully plan out their future steps via conferences and meetings along with an opportunity of sightseeing. Besides business centre, there is a gym coach and Ayurvedic spa which allows guests to burn those extra calories and for a rejuvenating and holistic experience. So for those who wish to explore the natural and cultural bounties of south India, a luxurious mode of travel has arrived in India with the advent of Golden Chariot on the scene. There is a popular saying in India that “at every mile water changes and at every 3 miles language changes”. The aforementioned saying explains the natural and cultural diversity of India which is hardly found anywhere else in the world. Breathing in the aroma of natural beauty, varied cultures, glorious history and firm religious values, the tastefully crafted itineraries of the Golden Chariot through the sublime terrains of south India allow travelers to come face to face with the treasures of this region. 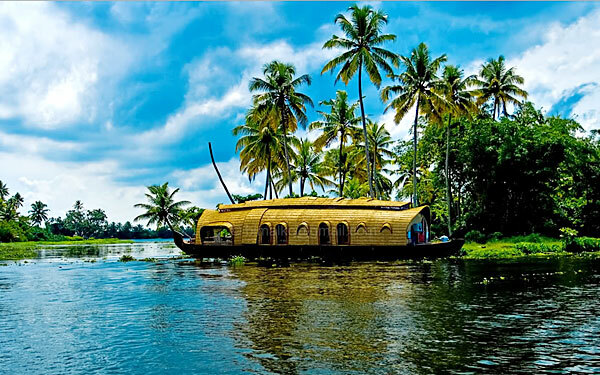 While most of the travelers are awed by the allure of its breathtaking hills, palm fringed backwaters and immaculate beaches, for many a trip to south India is all about the exploration of culture and heritage. Golden Chariot, south India’s first and only luxury tourist train, allows guests to explore the natural and cultural treasure troves of south India in sheer opulence. The Golden Chariot train has been designed to provide guests with comforts at par with five star hotels with a tasteful blend of ethnicity which is well reflected in the interior décor of its 11 coaches named after a different dynasty that has ruled the region in the past. The ceiling and windowpanes of these coaches showcases intricate carvings reminiscent of the architectural traditions of Hoysala and Mysore school of art. Dining facilities aboard this Indian luxury train are magnificent to the hilt. The mythical characters and ancient terms have also found place in the motif of the restaurants and bars present on board. An array of mouth-tingling cuisines is prepared under the scrutiny of master chefs to gourmet dining experience to the guests in a splendid ambience. Moreover the idea of sipping your favorite wine in a crystal glass in the quaint and nonchalant ambience of Madira bar is a great way to revive your ‘high spirits’. With its two itineraries – Pride of the South and Splendor of the South – the Golden Chariot takes guests on a roller coaster ride across historical landmarks and magnificent landscapes of Karnataka, Kerala and Tamil Nadu. Whereas Pride of the South traverses the course of medieval and contemporary destinations in Karnataka, the Splendor of the South will let you explore the temples cities of Tamil Nadu along with the backwater heaven of Kerala. A journey aboard Golden Chariot not only ensures that leisure out in the lap of sheer luxury but also takes you to some enchanting and illuminating destinations in Karnataka. Hence it would not be an overstatement to say that a grand way to explore the treasure troves of south India has arrived in India with the advent of Golden Chariot on the scene.